To setup the deferment plan, click the link below to access TouchNet and follow the steps shown. 1. 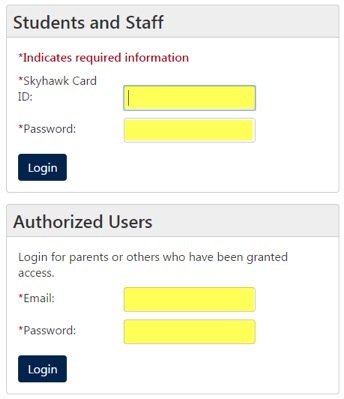 Enter your student id (starts with 960 or 000) and provide your password. You password is the same as the one you use for your portal and Banner Self-Service. 2. 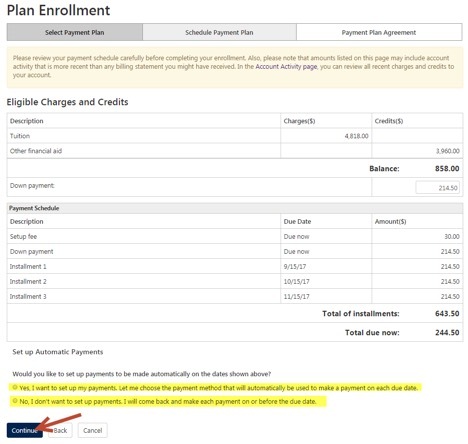 Once in your account, click on “Enroll in Payment Plan” in the middle of the page under the Amount Due section. 4. Review the shown information and then press “Continue”. There is a $30 setup fee to enroll in the payment plan and the setup fee and ¼ of your total fees is due upon setting up the plan. 5. Review your charges and credits. The down payment amount will show in the highlighted box. Press “Display Schedule” to continue. 6. The total amount of your installments will appear along with the amount that is due now. 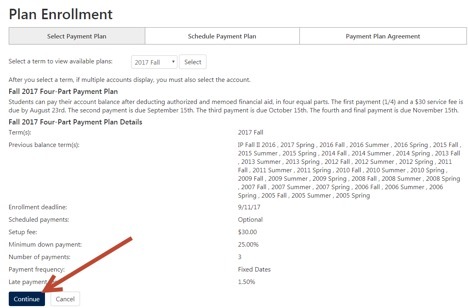 Select whether you would like to automatically have each installment pull from your payment method on each due date or if you would rather make the payment on or before the due date. Press “Continue”. 7. Select your payment method from the drop down and press select. You can either pay via debit/credit card or ACH payment. 8. 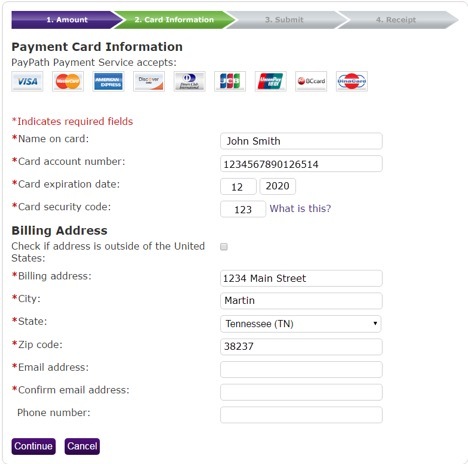 If you select “Credit Card Via PayPath”, this will direct you to the PayPath Website to Pay. 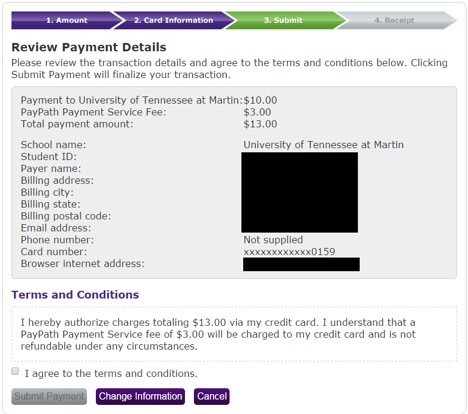 Be sure to click “Continue to PayPath” Please note that you will be charged a 2.75% service charge ($3.00 minimum) that UTM does not control nor does it receive. 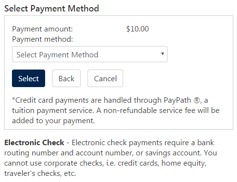 Please be sure to allow pop-ups in order to pay through PayPath. 9. Verify the amount and click “Continue”. 10. Provide your card information. 11. If you enter a debit card, the system will prompt you that you can avoid paying the service fee by authorizing a one-time payment directly from your bank account (ACH). Scroll to Step 8A to view how to complete this. 12. Review your payment details, the terms and conditions, click “I Agree to the Terms and Conditions” and then press “Submit Payment”. 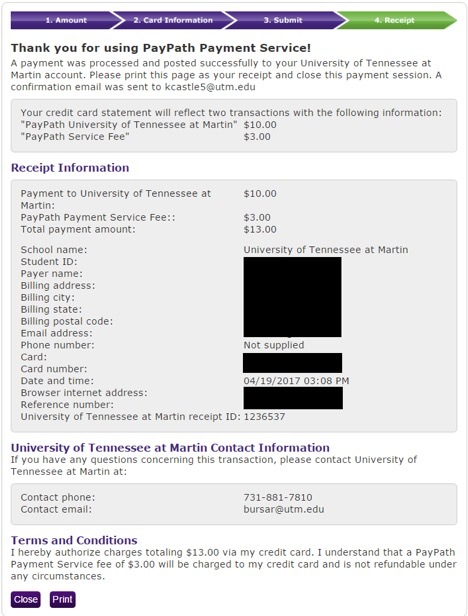 Please note that the service fee that is charged as well as the payment to UTM. The service fee is not refundable under any circumstances. 13. You will receive a confirmation screen similar to the image below. 14. If you wish to avoid the service charges, you may opt to authorize a one-time payment directly from your bank account. 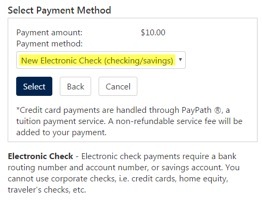 Select New Electronic Check (Checking/Savings) and press select. 15. 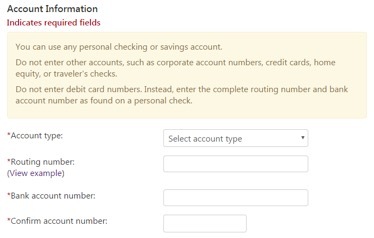 Provide the account type (Checking or Savings), Routing Number, Bank Account Number, and confirm your bank account number. NOTE! This is NOT your card number. Please contact your bank if you do not know this information. 16. Provide the billing information for the account. 17. Select whether you would like to use this account for any refunds that are due. 18. If you would like to save this account for future use, check “Save this Payment for Future Use” and give the account a name such as “My Account”, “My Checking Account”, etc and then press “Continue”. 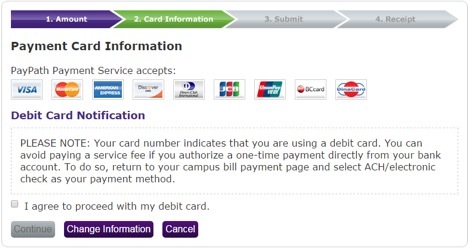 You will then be taken to a confirmation screen to confirm your payment. Once completed, you will receive a confirmation message.